In my last post, I bemoaned the state of my wardrobe. There are some very obvious holes that, when filled, would make everything work together — and enable me to wear the blouse I just finished. Which got me thinking: It’s time to put a wardrobe plan together. The delightful Sarah took the time to comment on my post and said her wardrobe plan consists of dresses because they don’t have to go with anything. Right she is, which made me wonder: Why do I favor separates? I realized that it’s ready to wear’s fault. I am different sizes on top and bottom, which by default sends me to separates. I’m also larger than the B-cup for which ready to wear is designed. Thus, I have a lot of sweaters and knits. What was I thinking, then, when I decided I ought to buy a new dress for my daughter’s upcoming eighth-grade promotion? The dresses I bought online HAD to be returned (shudder), and the search for one in the store was fruitless. Off to the sweaters, where I found a nice linen-colored number with a slightly 1920s feel that looks good with the two skirts I most recently made. Immediate problem solved. But what about the rest of my wardrobe? I decided that I need to sew some separates in 2012. And not just randomly. I need a plan! 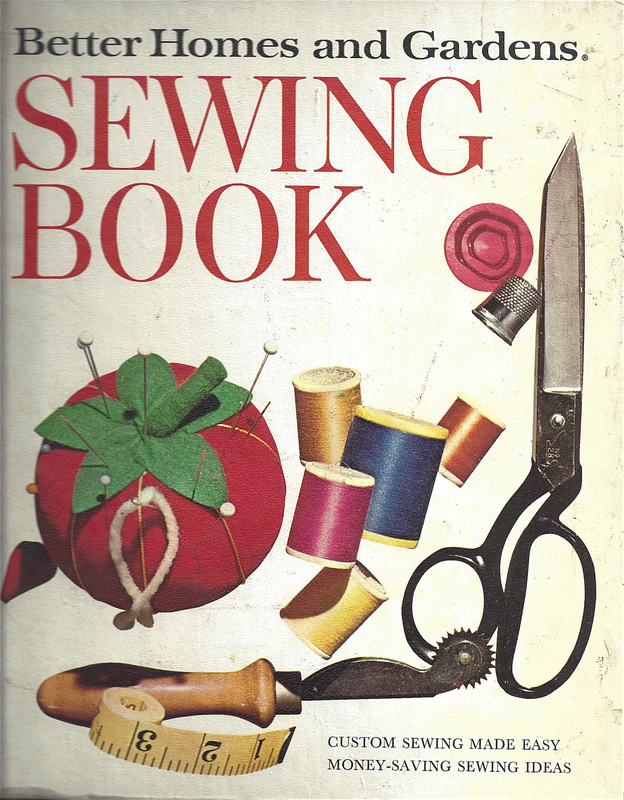 I LOVE this sewing book! This is the 1970 edition. It’s in three-ring binder form. The pages on wardrobe planning have always fascinated me. I showed some pages on accessorizing in an earlier post. But I’m going to use the page on overall wardrobe planning to drive my sewing plan for 2012. It all seems so simple doesn’t it? Simplicity 3688. I’ve already made this skirt successfully. I like the longer length on this one and the four-gore structure, which will make it easy to change from a side to a back zipper because I want side pockets. Perfect a wide-leg pants pattern and make it in navy. Wide-leg pants are flattering on me, and I like them cuffed. I also want a contour waistband and pockets, so there will probably be some drafting going on. Perfect one basic blouse pattern and make it in cream. 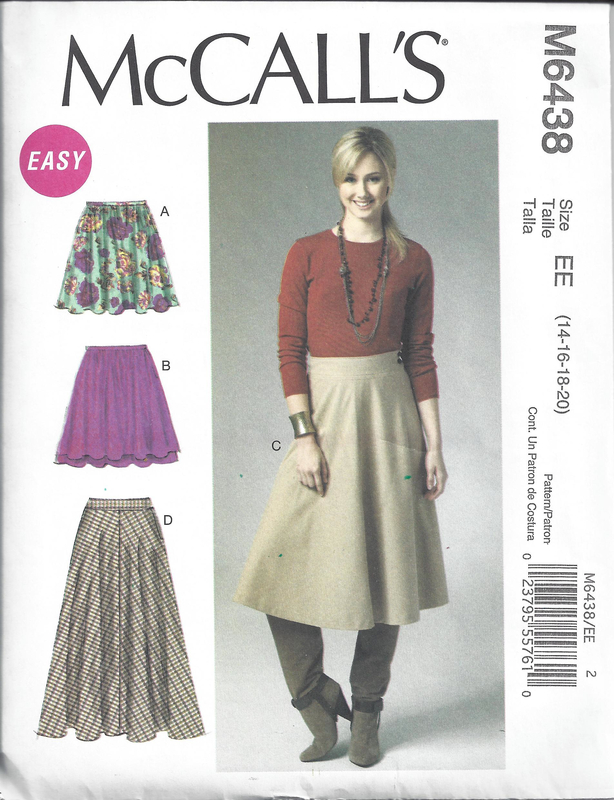 For this, I have no clue what I’ll do, but it won’t be Simplicity 3688. Jewel necklines are heinous on those with a full bust. One of Simplicity’s Amazing Fit blouse patterns (which have different pattern pieces for different cup sizes) may be involved. Perfect one jacket pattern and make it in a navy pattern. 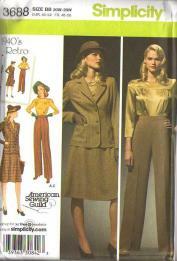 The jacket pattern for Simplicity 3688 is a perfect 1940s platform for all sorts of embellishments. 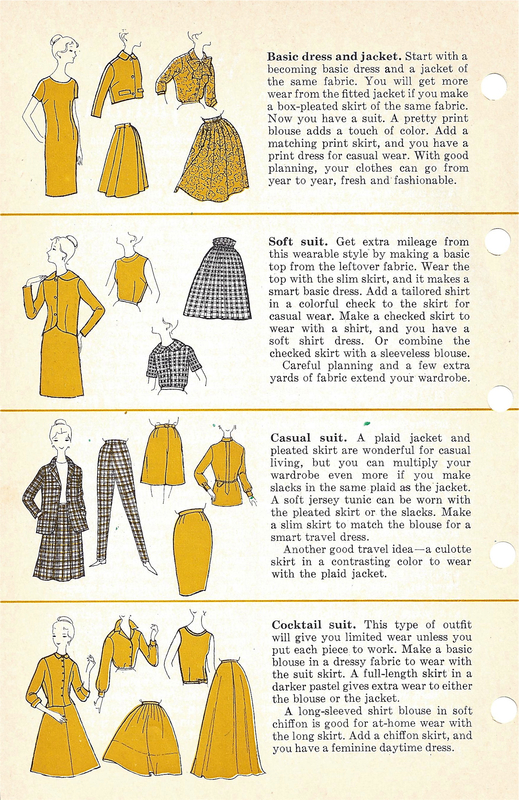 I’ve been saving pictures of 1940s jackets to one of my boards on Pinterest for inspiration. This will be the last project because it scares me silly! The pattern doesn’t call for tailoring techniques, but I want to try some. It will be the first time. This will no doubt be a fairly lengthy process of wearable muslins, trial-and-error alterations, and new-to-me techniques. Now that I think of it, it’s mid-May. The remainder of 2012 may not be enough time!